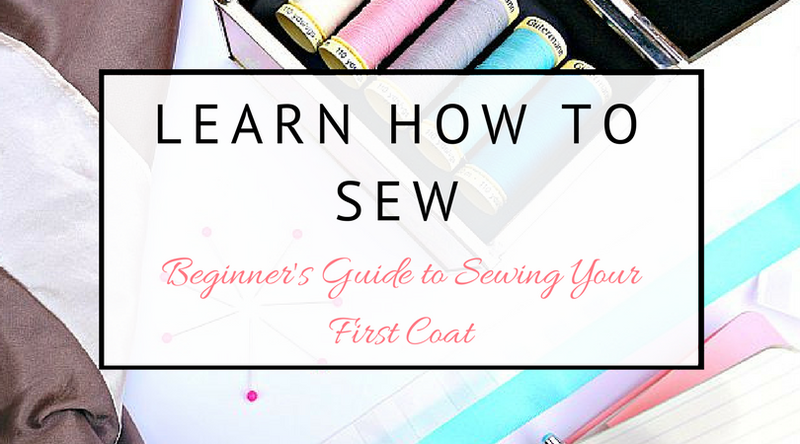 Making a coat is one of those sewing milestones that gives you a great deal of accomplishment. It is certainly a more involved project, and can seem advanced in some ways, but can totally be taken on. If you've always wanted to give it a go but are a bit scared, don't be. It will take more time, and there could well be a whole heap of unfamiliar terms and items, but that's all part of learning. Once you've made one, you'll be planning your next. There is a really interesting range of coats out there to make for yourself. 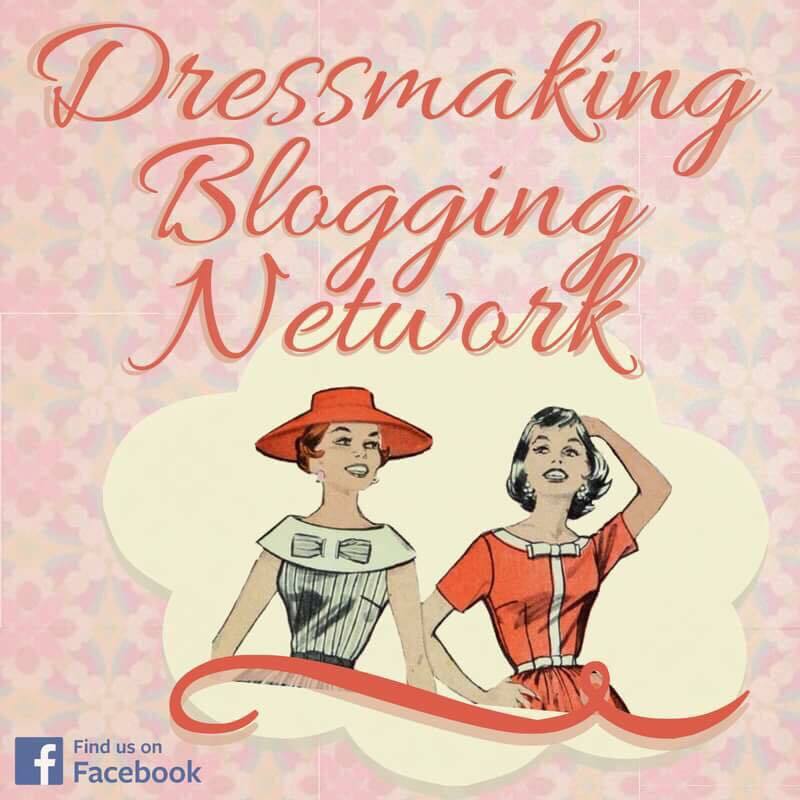 I often use the Fold Line's database to have a look, and there are lots of reader makes that were added to the #wardrobebuilder link up last year to get you inspired. 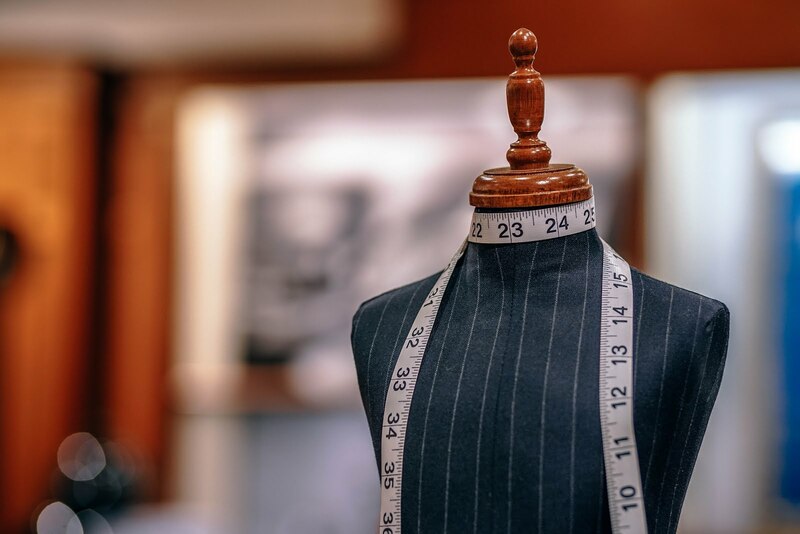 Now, coats are not created equal...there is a wide variety of complexity and skills that are required and this is what may guide your decision first time around. Some patterns require only the ability to sew in a straight line .... if you've sewn seams, set in sleeves and hand stitched a lining you can make quite a few patterns. This was all I needed to make my first coat, the Burda 6737. I didn't even need to sew on a button, and the collar of this is very simple. On the other hand, you might have fallen in love with the Closet Case Files Kelly Anorak and all its poppers, zips, pockets and hood. This is going to involve learning new techniques and possibly, how to use new equipment. Really though it's about what you feel comfortable with. If there's something you've never done or used before, there's often a tutorial and you can practice as much as you want before you hammer a popper through your finished article! You may even be guided by the techniques you want to learn, rather than the finished outcome. 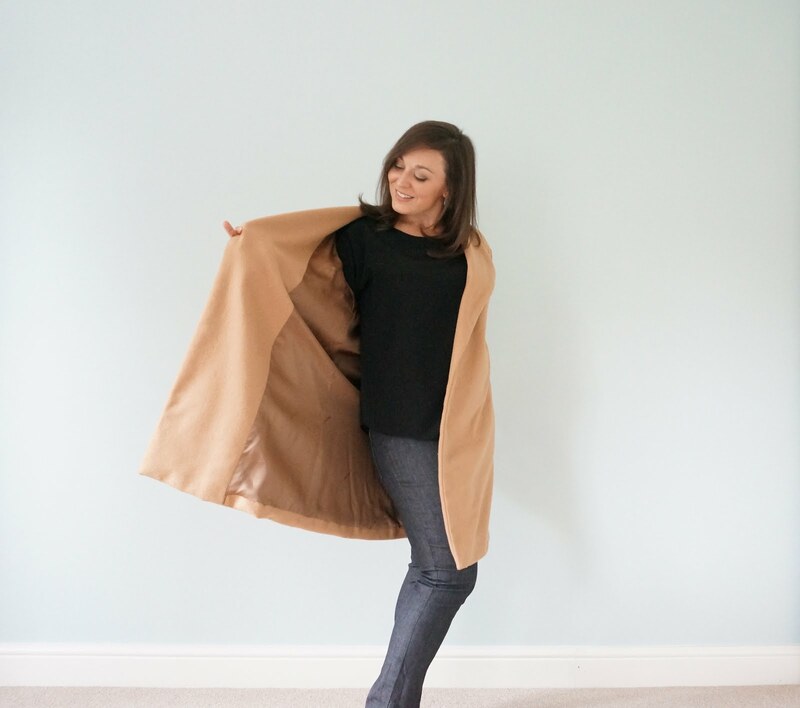 If you are signed up to the #sewmystyle2018, this month's pattern is the By Hand London Rumana Coat...I'd say this is accessible for beginners because it doesn't need any specialist tailoring. You will sew darts and princess seams, and topstitch these down, as well as sew buttons. The pattern is well designed and goes together well so it isn't confusing, it just takes time. It is lined and has instructions for this. Whichever pattern you pick, it will have a list of recommendations for fabrics. You may not have used (or heard of) some of these before if you're making your first coat. Some of them require specialist tools (leather for instance). Both of the coats I have made have used wool, which was fairly kind to me as a beginner. It doesn't fray and can take being unpicked (in my experience). Use a gentle heat with the iron, and try to set whatever you've pressed (ideally with a tailor's clapper). You don't have to make a thick, warm coat either....coat patterns an be adapted to linens and other lighter weight materials like twill crepes and rayons. 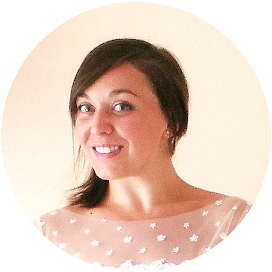 I've been toying with using Laura Ashley furnishing fabric for one of my wedding guest outfits! You will also need interfacing to protect the coat against the daily wear it's going to get, and to provide some structure to collars etc. I have used patterns that require fusible interfacing, but others require you to sew this is, and involve specialist tailoring techniques such as pad stitching. Again, nothing is insurmountable; it's about what you feel comfortable with and want to learn/ spend time on. At the cutting out stage, I usually pin my pattern piece to and cut out my main fabric first. Then I lay this on the interfacing, with the fusible side against the wrong side of the shell fabric. This way I don't end up with any reversed pieces that need to be recut. There's a whole new world of linings, underlinings and interlinings. For my first projects I've gone with linings only because that is what I felt comfortable with. I love that coats give you an opportunity to use some really special fabric - the kind of thing that you wouldn't wear as a garment but love the look and feel of. Normally if you search for lining, you will come up with dress linings in your results. This is fine, but these are quite lightweight usually, and for a coat you might want something a little more durable. Your pattern's fabric suggestions will guide you, but if not you can always find a slippery satin acetate or crepe de chine...something lightweight but not too delicate. More information - I thoroughly recommend listening to the Maker Style podcast episode where heather Lou talks all about fabrics for coats. She explains all the linings! She also recommends that you make an investment of your fabric. Whilst I agree that you usually get what you pay for, a lot of coat projects need quite a lot of fabric. You will need to figure out your own budget but beware that coats are not cheap - especially if you are buying new tools too [FYI my Rumana coat was made using £10 per metre wool and satin acetate (not recommended by Heather), I'm happy with it]. That said, it still can be cheaper than buying RTW! Coats need pressing at every stage to get a polished finish. You want to set the stitches and the seams, as well as use the iron to create shaping. This article from McCall's talks though tools that can help with getting a professional finish on coats. When sewing your first coat, it's a good idea to set up your ironing board close to your machine - you are going to need it a lot. Don't be tempted to skip pressing, as once the coat is finished you may well wish you could go back and do it, but not be able to. It's really important to let pressed seams cool before moving on (which is why the clapper helps). If you have gone to the expense of buying lots of lovely fabric, making a toile (also called muslin) first is a good idea. This is really hypocritical of me to say though, because I didn't toile either of mine. It was a big mistake for my Burda coat which ended up way too large. It wasn't on my Rumana but I did a lot of pattern fitting before hand (and it could well have been quicker to do this in fabric too btw). I'll outline how it should be done, as well as the way it shouldn't really (aka the way I actually do it). First - look very carefully at the finished measurements. Indie patterns usually have these in the booklet or envelope, and commercial patterns can have these on the pattern pieces themselves. Compare these with the measurements you would normally use to select your size. Do the shoulders meet the sleeves in the right place? What is the length like? How much fabric is there across the widest part of the chest and back? Enough to lift arms or sit? Is the waistband in the right place (and will it close)? Are the sleeves too loose/tight? plus a general look around the hips (not usually a problem with coats but you never know). It is also important to test your stitches before sewing. If you can, keep back some shell fabric to test a seam on first and check it's alright. If your pattern uses buttons, test out some buttonholes on scraps that replicate your finished article....on my Rumana I interfaced to pieces of my fabric and sewed them together just like the front panel. Then I tested out the buttonhole stitch and adjusted the density before I went anywhere near my almost completed coat! When I was making the Rumana I also found that I didn't always understand what I was meant to do at first...so I pinned and tested what this might look like a couple of steps later to figure out if I was the right way round. Try your coat on after key stages to triple check the fit - after the main body is constructed, the sleeves, when the sleeves are attached etc. 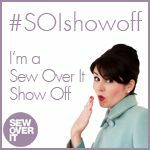 If everything is going fine that's great, but if your sleeves are too tght for example, you need to do something about it before you sew them to the coat. This is not a quick make to whizz up in an afternoon. If this is your first coat it is going to be a learning experience as well. Enjoy the time it takes to test, carefully sew and press (you will spend a lot of time pressing). A lot of coat patterns are not too difficult; they are simply time consuming. It is worth taking time over reading instructions and pinning everything into place. I have found the coats I have made to be really enjoyable experiences, and quite relaxing at times too! 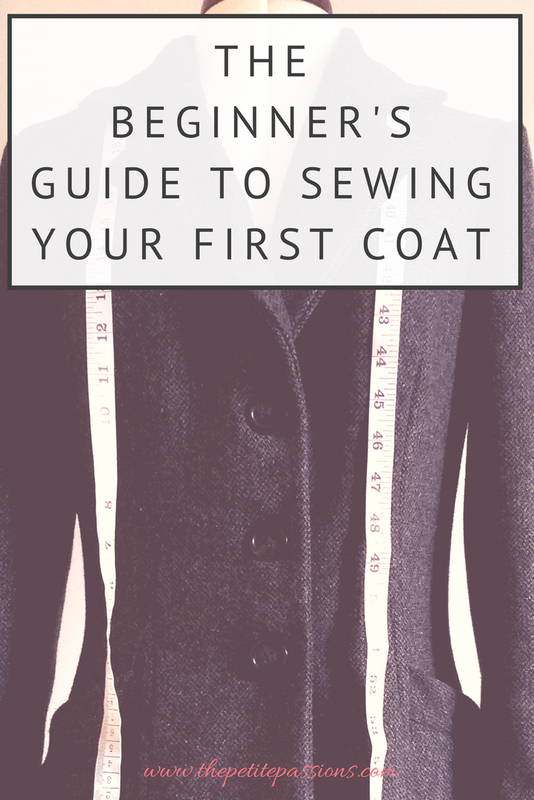 I hope that these tips can help you on your way if you are making a coat for the first time. Let me know how you get on in the comments below. If you have any tips for making your first coat, add them below too.